When I think of Divine's target customer, I imagine an elegant, gentle-mannered woman who wears pearls with élan and not stuffiness, and who appreciates the nuances of a good Darjeeling. That sort of woman could be happy with any of Divine’s feminine offerings, most of which are classic florals, subtly blended, designed to comfort and enchant in a lovely yet conventional way. Put another way, there’s a good chance that no Divine fragrance has ever been smelled in a mosh pit. Divine Spirituelle is true to the house brand. Perfumer Richard Ibañez developed Spirituelle. Its notes include spices, Sichuan and pink peppercorns, geranium, cistus, May rose absolute, Anatolian rose absolute, light amber, white musk, Texas cedar and incense. In brief, Spirituelle is a warm, tender rose. 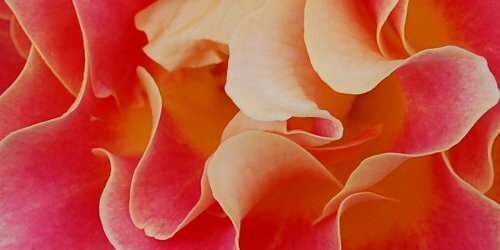 For the rose aficionado, here’s more detail: Spirituelle opens on a wave of tingly aldehydes that quickly washes into a barely ambered rose heart. Spirituelle’s pepper isn’t about adding prickly texture, but about actual scent (I have some Sichuan peppercorns, and they’re sharp, yes, but also floral). The musk isn’t present as funk or detergent but adds soft body; the cedar isn’t too earthy; and the incense never calls attention to itself. The only notes that, to me, stand out in this finely polished composition are summer rose and — just barely — amber. Even with most of a 1.7-ml sample vial of Spirituelle Eau de Parfum drained on my arm, its sillage is present but quiet, and it shimmers just the tiniest bit. It lasts about four hours on my skin. If Spirituelle were a gem, it would be barely opaque and cloudy pink like a rose opal. If it were a fabric, I’d peg it as dawn-sky-tinted silk charmeuse. If it were music, I’d choose something quiet on the viola. I’d love to sit next to someone wearing Spirituelle, but it doesn’t suit my personality. For a Divine rose, I’d choose the saucier L’Inspiratrice (if anything by Divine can be called “saucy”). But my very favorite (non-rose, by the way) Divines are the masculines, L’Homme Sage and L’Homme de Coeur. 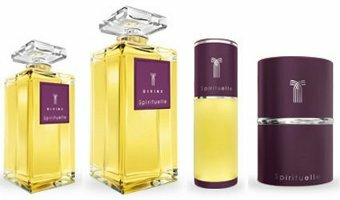 Divine Spirituelle is available in 30 and 50 ml refillable spray Eau de Parfum; 50, 100 and 200 ml splash Eau de Parfum; and 20 ml Extrait de Parfum. For information on where to buy Divine fragrances, see Divine under Perfume Houses. Note: top image is petalspeaceandlovecrop2 [cropped] by elvissa at flickr; some rights reserved. Yay a Divine review. Noticed this on their website. My favourite is still a tie between the original Divine and l’Homme de Coeur. An underrated house I think. Underrated and not outrageously priced, either, compared to many houses. Yep, I thought that too, I still want some L’Ame Sœur! Hesitating between the extrait or the EDP. This one sounds good too, even though I have way too many roses as it is. Writing this review inspired me to dig out my decant of L’Inspiratrice, and I’ve really been enjoying that! I’ve only tried Divine and L’Ame Soeur from this line and neither of them seem to agree with me somehow; they both seem to turn rather unpleasantly synthetic on me. Spirituelle is a bit harder to sample, so I don’t know if I’ll get to it. I am drawn to Divine’s style of fragrances though. Conventional done really well can be great. Parfums de Nicolai also offers this kind of thing; I’m thinking especially of Odalisque and Number One. It’s strange how few perfume houses do “conventional done really well,” come to think of it! I guess the market is smaller than some. But I agree with you. I’ve never heard of this line and i’m not the target market anyway. Money saved. True–it’s not like there’s not enough perfume out there as it is! It’s a nice line, though. One thing Divine has going for it is that it doesn’t pump out new releases constantly. I should try this. I very much like the original Divine and its gold metal spray container – the wine-colored one would be very nice, too. I really like the idea of a refillable flacon, too. Divine’s flacon is so elegant. Thanks for this review, Angela. I love this scent and I’m waiting impatiently to receive my extrait from France. I don’t know if Divine fragrances suit me as I’m probably to casual for them. But I still love them, especially this one and L’Ame Sœur. I really like the fragrances from this line. My favorites are L’etre Aime Femme and L’homme Sage, but I think all of them are truly well done. There’s a distinct aspect of quality throughout the line that appeals to me. The line truly does feel elegant and well-considered to me. I can imagine a certain type of elegant woman returning to Divine over and over. I have the three original feminine scents, plus the men’s L’Homme de Coeur. They have a cute little boutique near the Opera in Paris where I got to refill my bottles one time. I received a scented card of Spirituelle and it smelled lovely. When I get back to Paris next time I will be sure to stop in and have a spritz. In the meantime, I have way too much perfume and really need to stop buying. I’ve been to that boutique! It would be wonderful to get a refill there–but I hear what you’re saying about too much perfume.